Whether you’re remodeling your entire kitchen with some contemporary cabinets, or just looking to add some extra storage, our goal is to offer you cabinetry that will meet your every need. 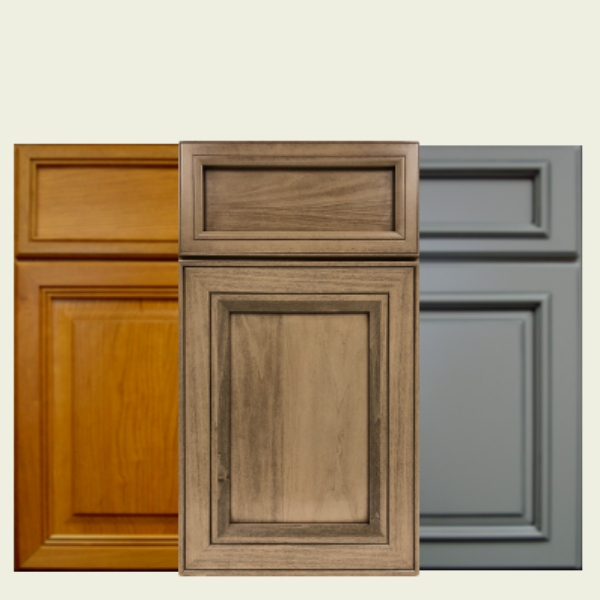 We offer over 30 door styles for you to choose from, including shaker, raised panel, and mitered doors, along with over 100 unique finish options, including paints, stains, glazes, and distressing. This means we have your style needs covered, all the way from Traditional to Rustic to Modern. 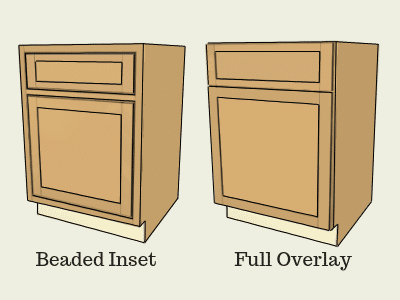 While the look and feel of your cabinets is important, we know that you’re after both style and functionality. 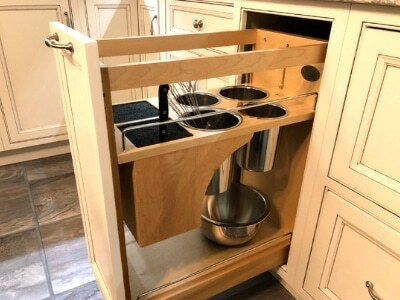 When it comes to cabinetry accessories, like pull-out storage, trash roll-outs, Lazy Susan’s, and more, we’ve got you covered. Feeling overwhelmed? We’re here to help. 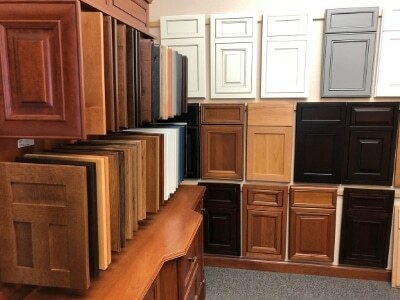 Stop by out our cabinetry basics section for a quick lesson on cabinet construction, profiles, and more about our different wood species options and how to choose which wood is best for you and your home. View our wide variety of flat panel, raised panel, and mitered doors. 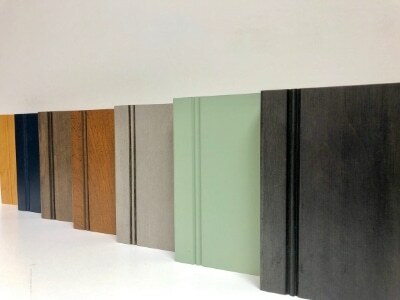 We offer over 100 different finishes on 7 wood species. These Cabinet Accessories will help you stay organized with style. Learn more about cabinet construction, door styles, profiles, and more.